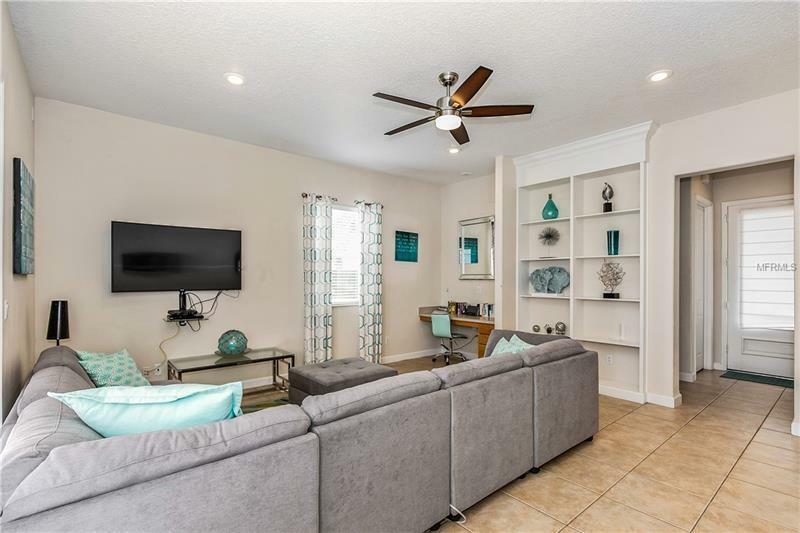 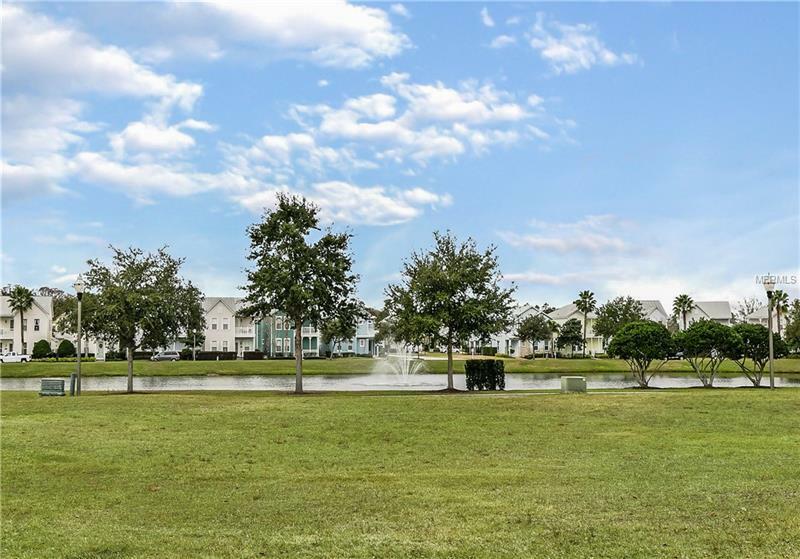 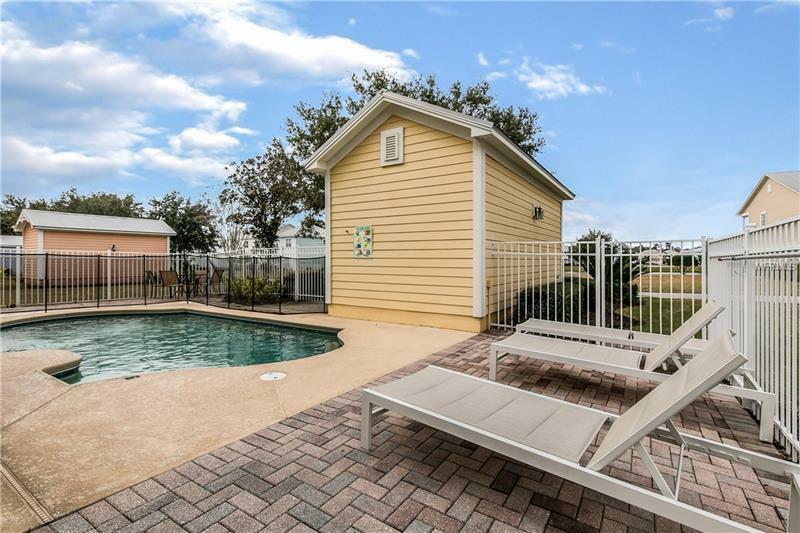 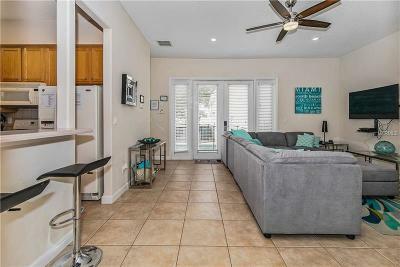 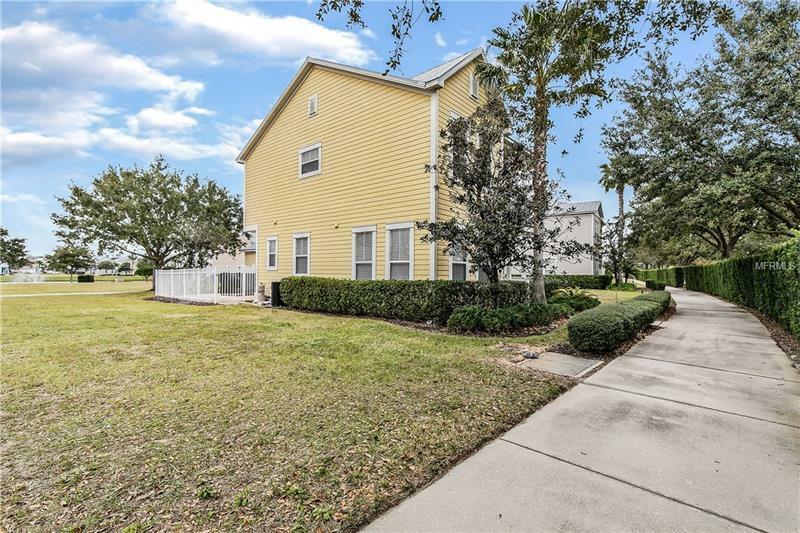 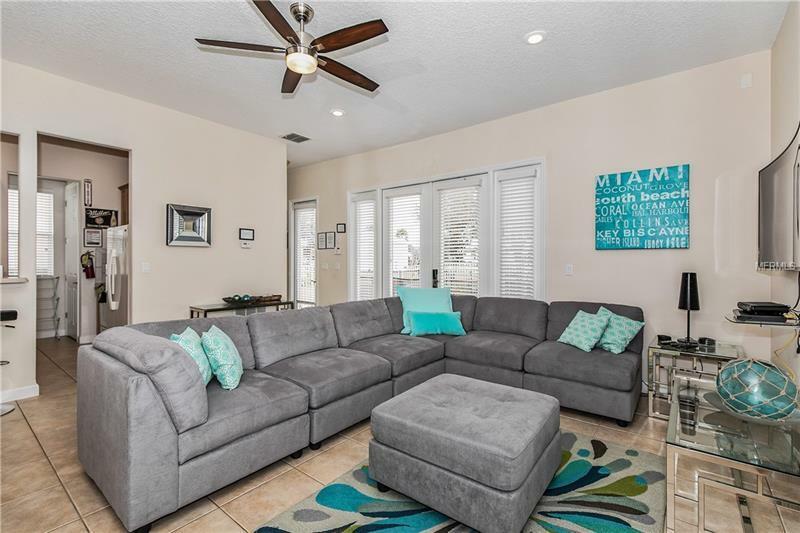 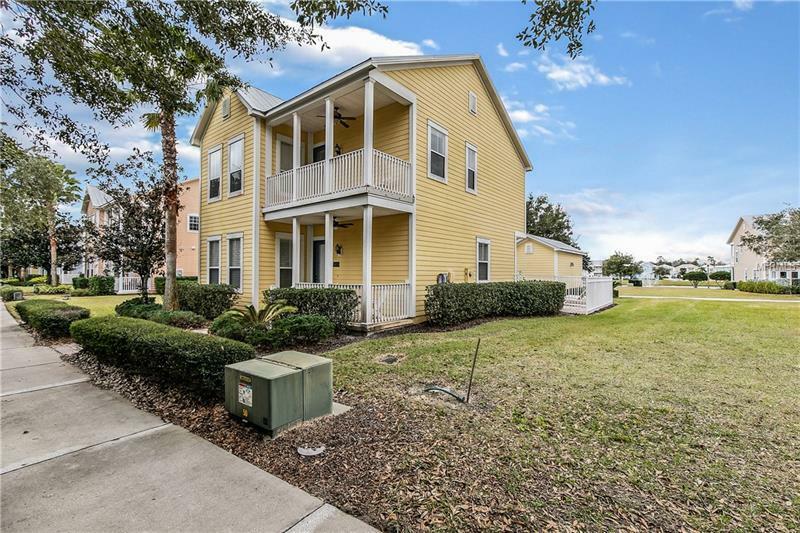 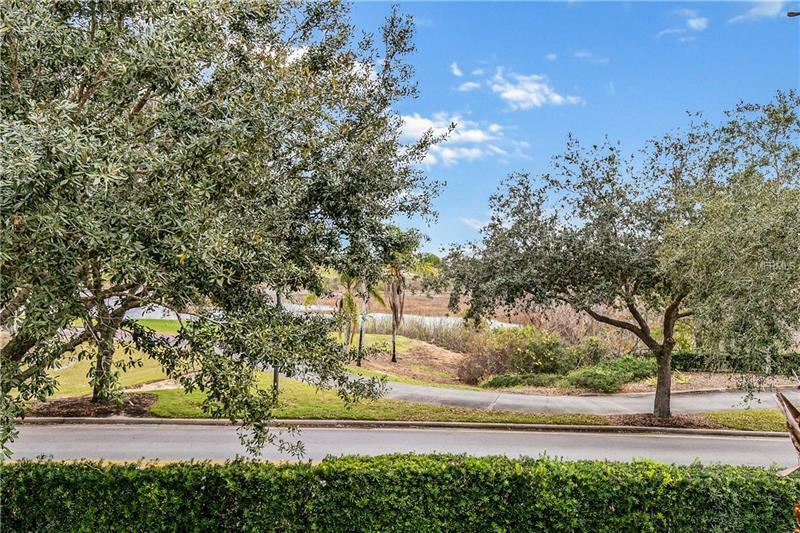 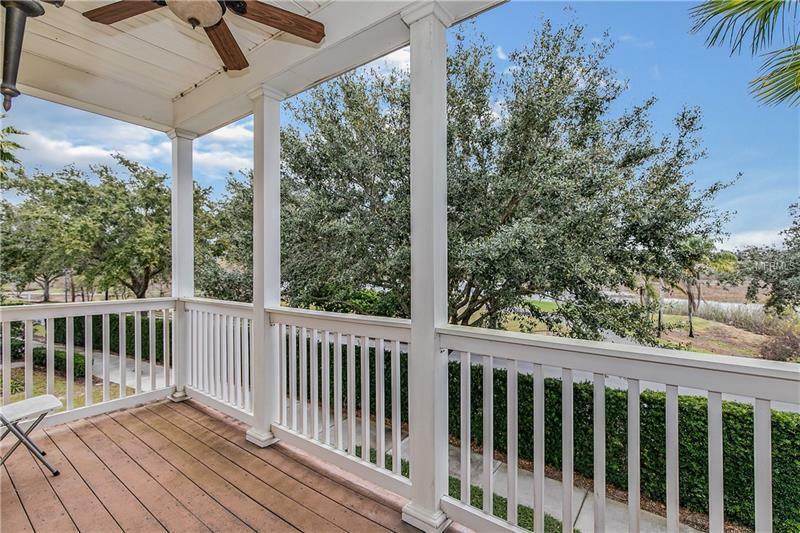 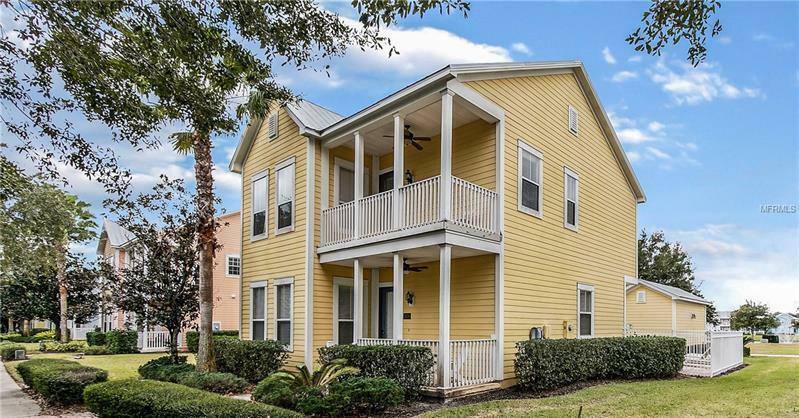 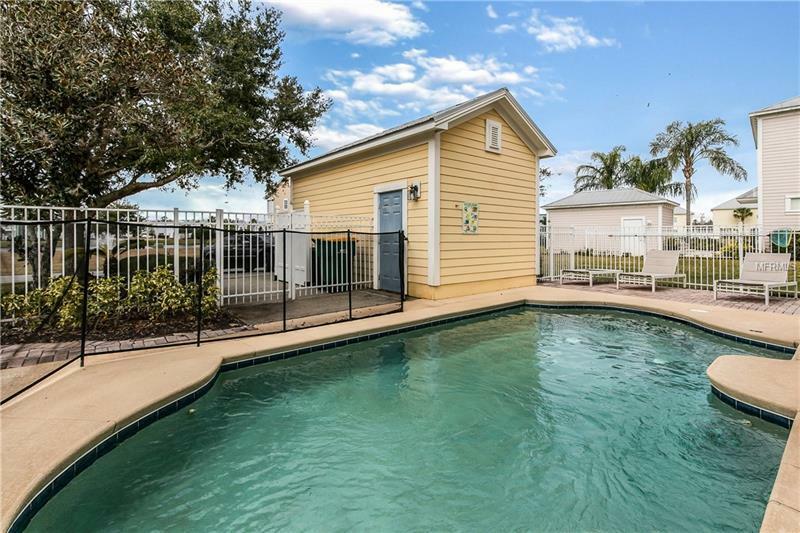 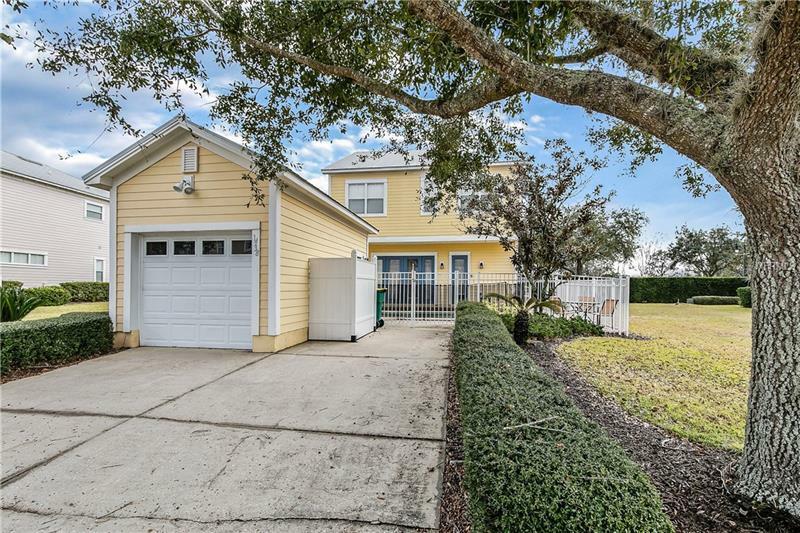 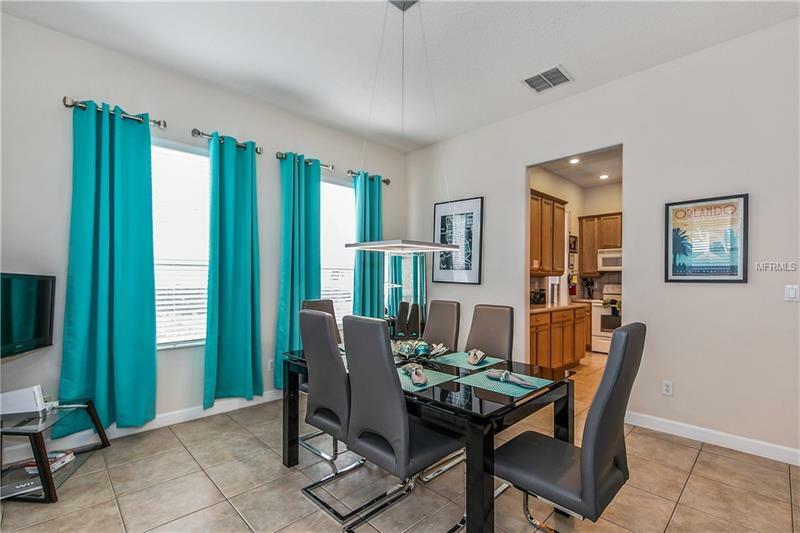 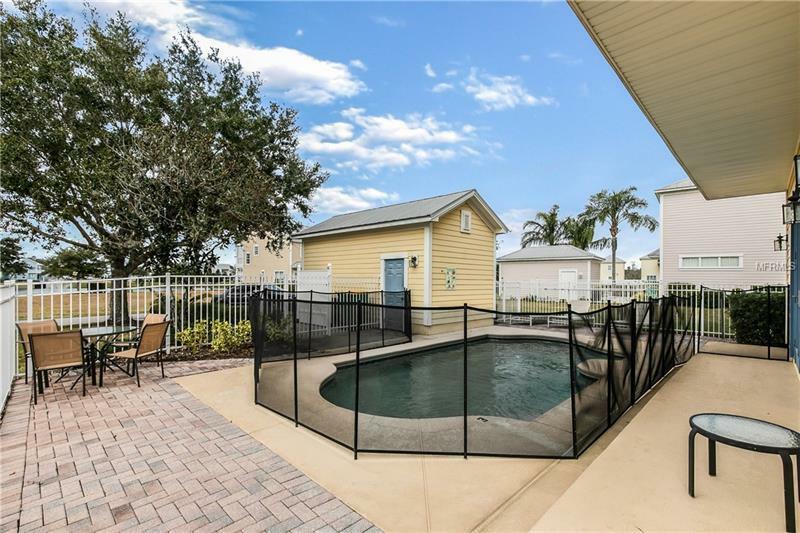 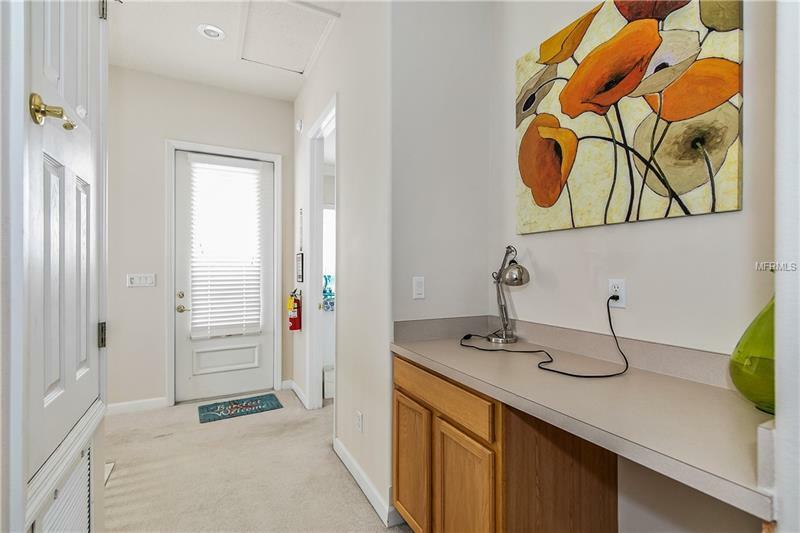 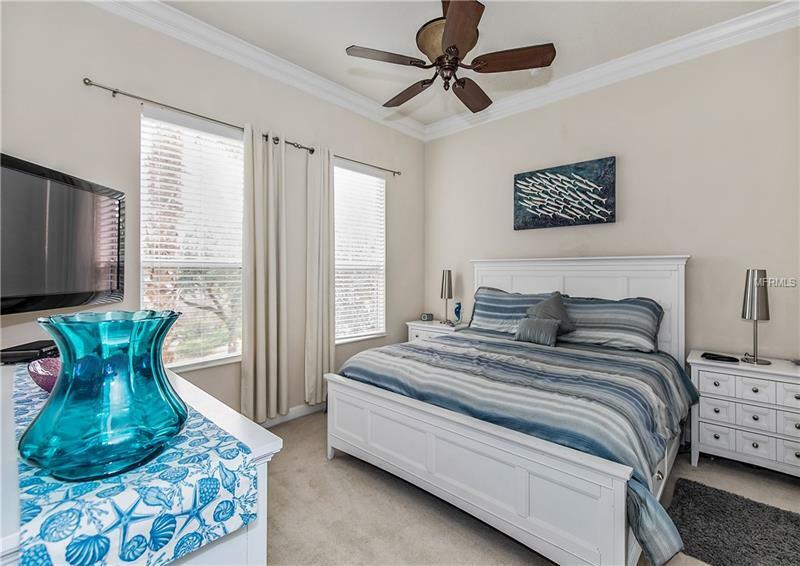 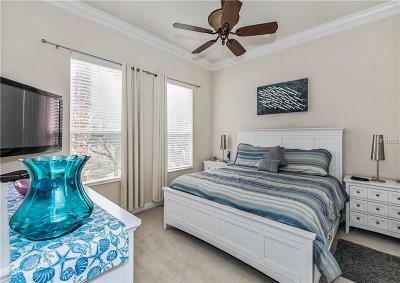 This is a beautiful Sandpiper Model 3 bedroom 3 Â½ bath Park Square home , located in gated resort community of Reunion and is situated across from the golf course. 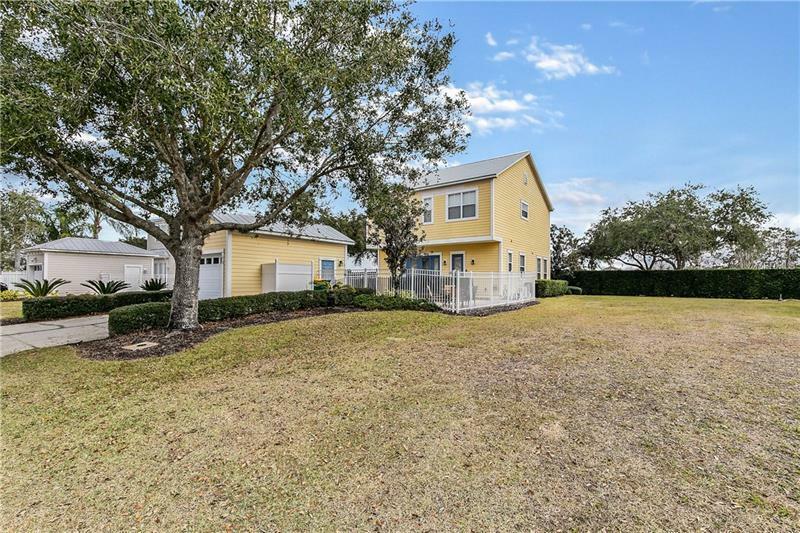 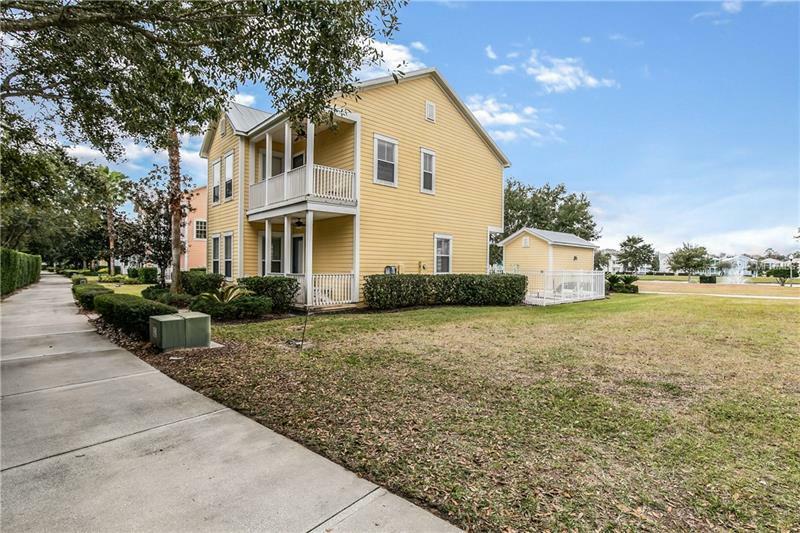 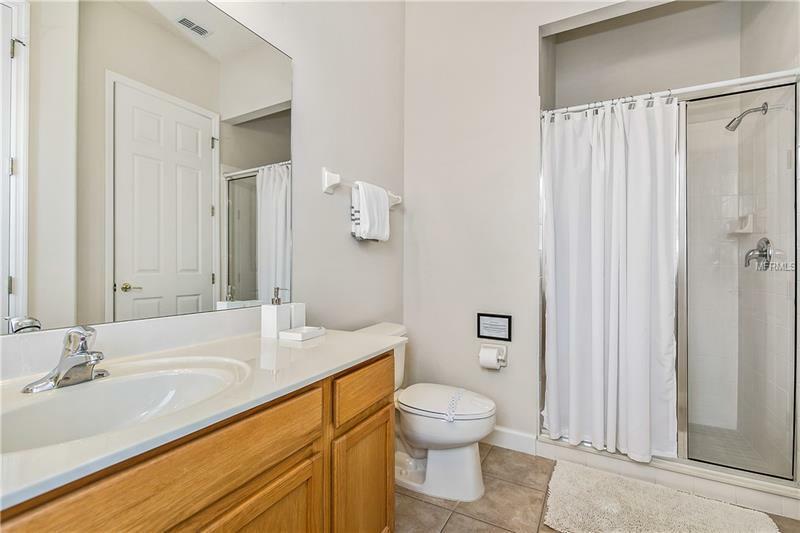 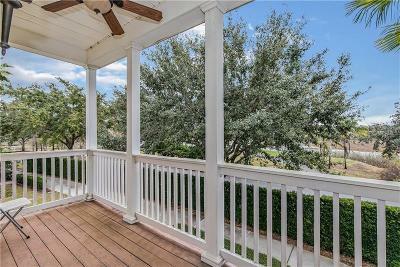 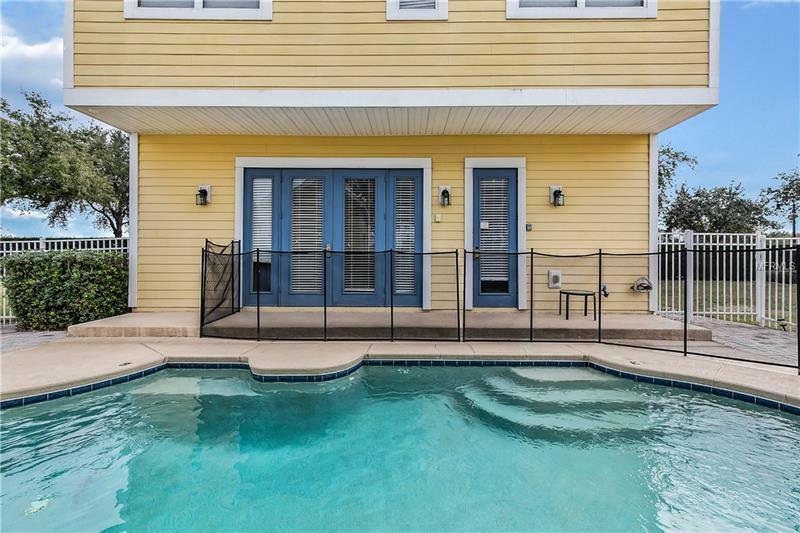 As you walk up the front porch steps with a privacy hedge and enter this bright home, you notice the entire first floor is tiled, the family room is bright and airy with built in shelves and is inviting for friends and family to gather. 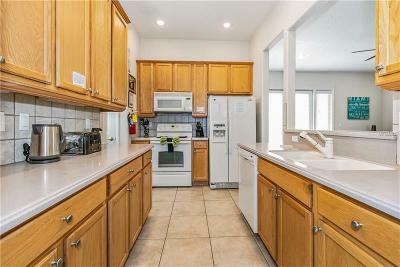 The kitchen has a tiled backsplash, double sink, light oak cabinets and breakfast bar for casual dining. The large dining room with plenty of windows and new furnishings is impressive. 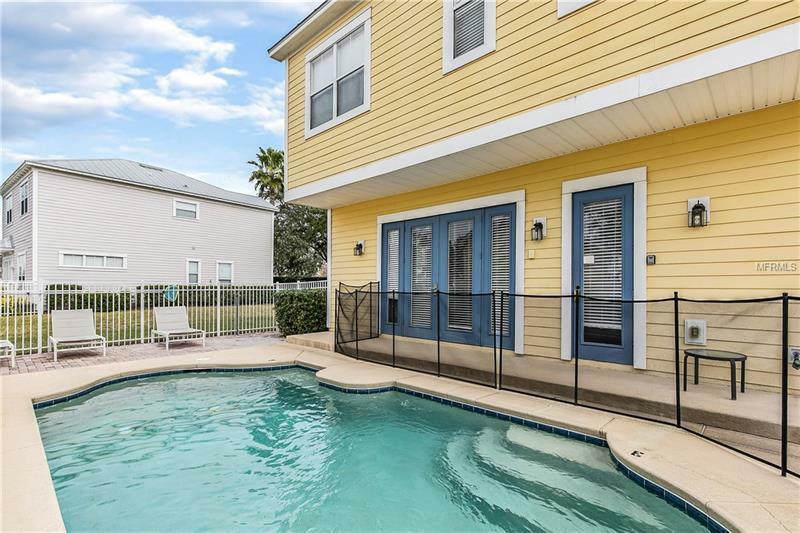 The back wall of the house has 2 doors and 3 windows that are floor to ceiling, which allows plenty of light in and opens out to the double ended Roman pool and patio. 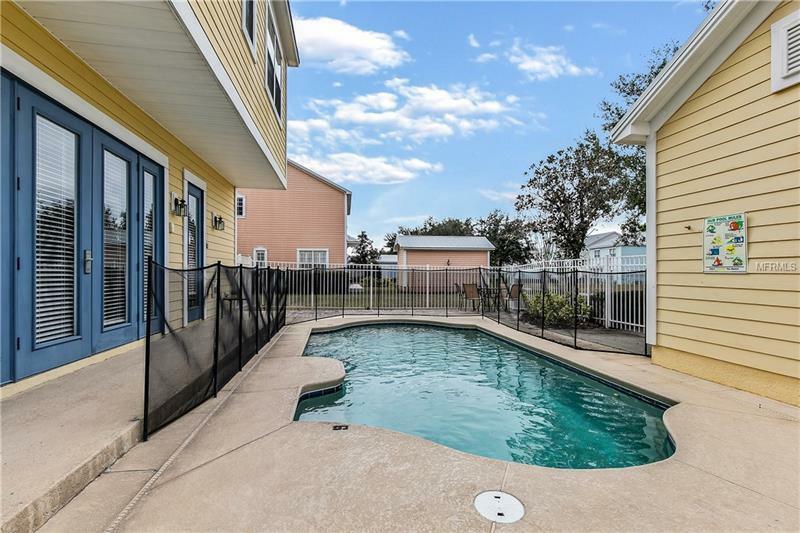 The pool patio deck is expansive and has pavers. 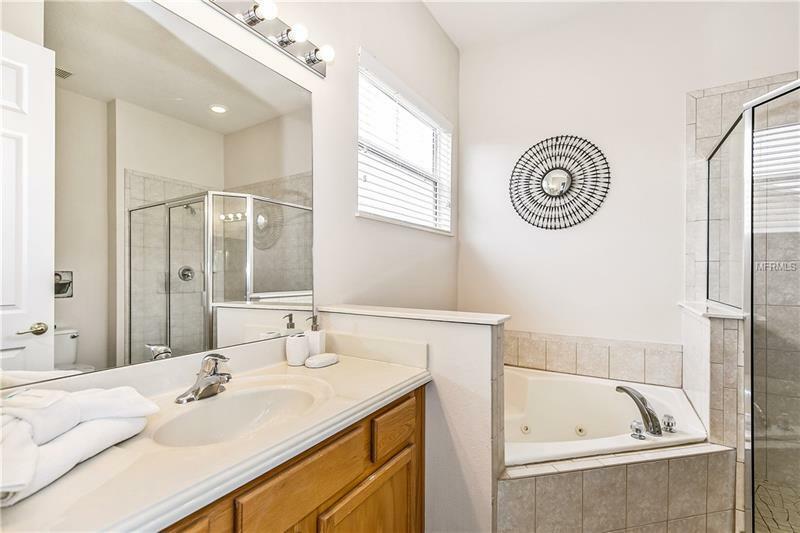 Upstairs are 3 bedrooms and 3 baths. 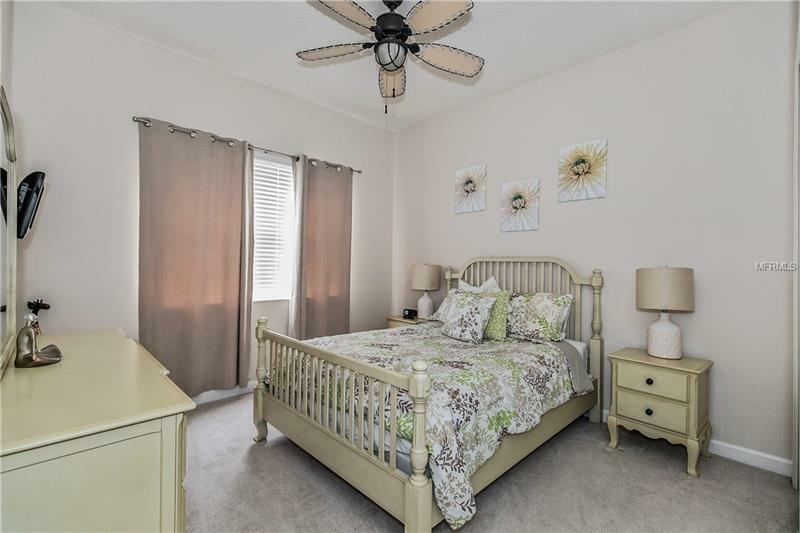 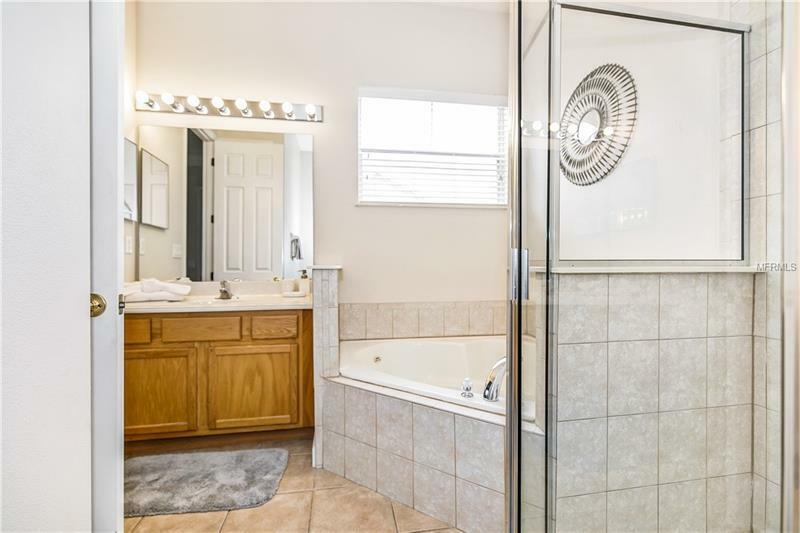 The master bedroom is spacious and has an ensuite master bathroom with jetted soaking tub. 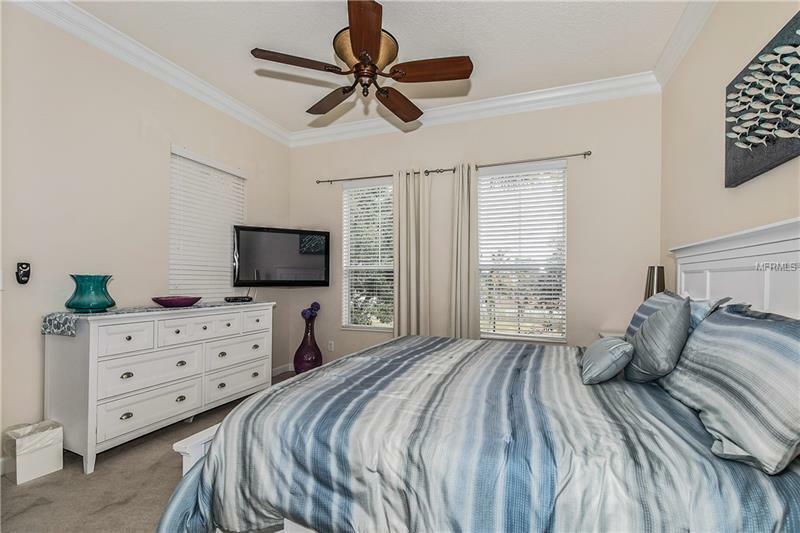 There is a built-in desk on the second floor between the Master Bedroom and the other two bedrooms. 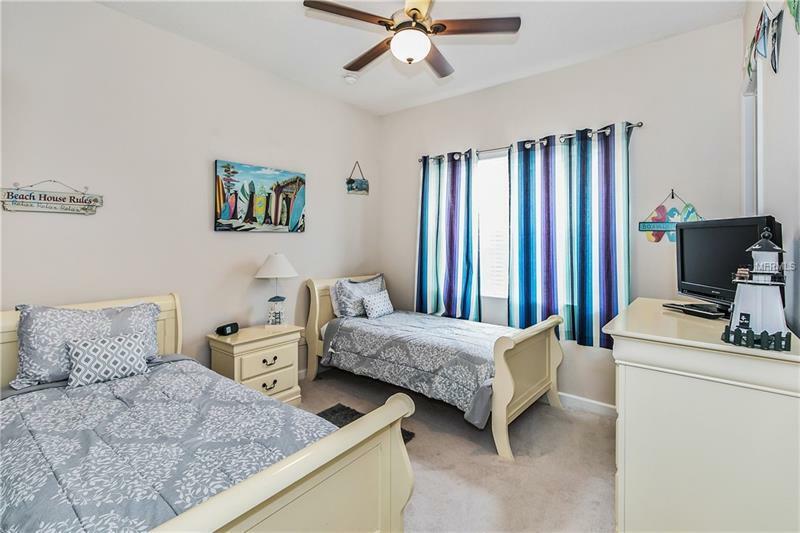 Each bedroom has its own bathroom and is freshly decorated with a queen bed in one room and 2 twin beds in the other. 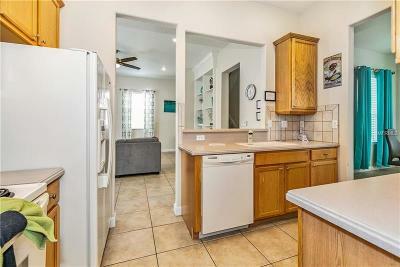 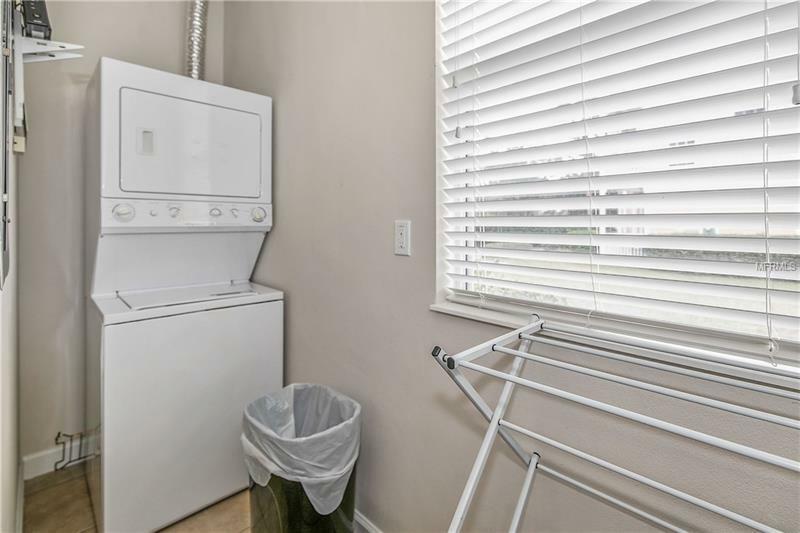 This a fully furnished turn-key home may be used as your home or a short- or long-term rental. 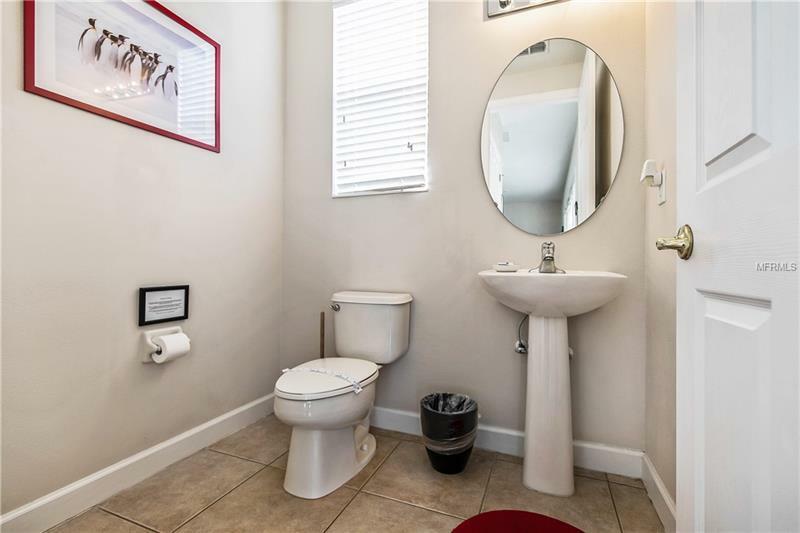 Go see it today. 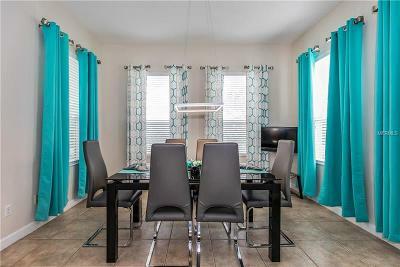 This size home with these furnishings at this price is a real find in Reunion!